When Jada Jones's best friend moves away, school feels like the last place she wants to be. She'd much rather wander outside looking for cool rocks to add to her collection, since finding rocks is much easier than finding friends. So when Jada's teacher announces a class project on rocks and minerals, Jada finally feels like she's in her element. The only problem: one of her teammates doesn't seem to like any of Jada's ideas. She doesn't seem to like Jada all that much, either. 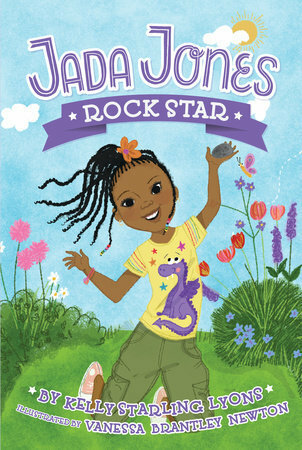 Can Jada figure out a way to make a winning science project and a new friend? The early chapter book bridges between leveled readers and chapter books for fluent readers adjusting to the chapter book format. At about 5,000 words, with short chapters and two-color art on almost every page, it will appeal to this unique reader. The two-color art throughout will help readers transition from the familiar four-color art of leveled readers and ease them into black-and-white chapter books. Jada's interests are unique - she's a rock collector! I love seeing a girl interested in science and not something stereotypical. Thank you Kelly Starling Lyons for characters that look like our readers! Authors, please keep writing people of color, people of different background, people of different religions.... we need mirrors, we need windows! Thank you Vanessa Brantley Newton for giving us illustrations in this book that help young readers hold on to the visual information - like what characters look like, what settings we should be picturing, etc. I'm really glad the characters are 4th graders. 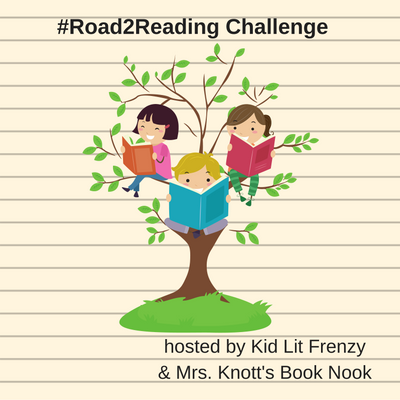 This book is appropriate to read for young readers who are ready for chapters, but with having older characters, that means it will also appeal to older readers who still need supports in their reading. I am planning on introducing Jada to my readers very soon. I think they are going to love meeting her! Swing by Alyson's blog to read more about Laurel Snyder's new book.